Tysan is a legend in my community. Some of my friends train with her and well, they are some of the sexiest, strongest, healthiest people I know. That’s what motivated me to try Tysan’s small group virtual training program in the first place. It’s uncanny how, over Skype training, Tysan was able to see the tiniest ways I was out of alignment, and then give me corrections so I was building strength with proper alignment. That’s important. It doesn’t matter where you are. You could be in timbuktu. If you have a good internet connection, you’re golden. 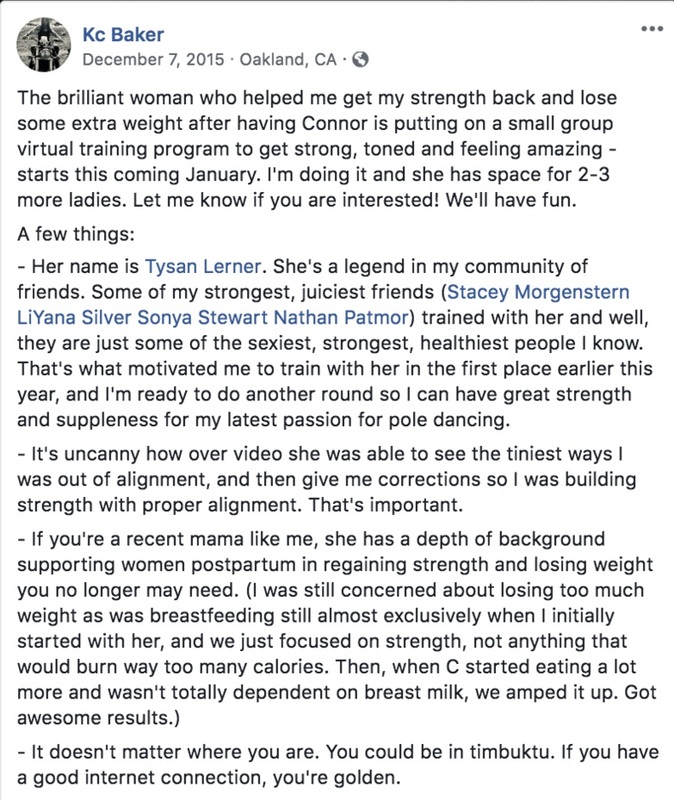 After KC joined Tribe (our small group fitness program) she posted a new testimonial on Facebook.